The city of Beverly Hills does not currently mandate the retrofit of wood-frame soft-story buildings; however, work is under way to identify existing vulnerable buildings and to develop a seismic retrofit program. The intent of the program is to reduce the risk of earthquake-related damage and promote life safety in the city’s commercial and multifamily buildings. See the links on this page for information on the program’s progress and key dates. Approximately 300 structures within Beverly Hills have been determined to meet this description and may be impacted by the intended ordinance. It is important to note the proposed seismic retrofit program for existing wood-framed soft-story multifamily buildings is not yet in effect. The program has not been presented to City Council for consideration, however staff is currently working on outreach to the various stakeholders including building owners. 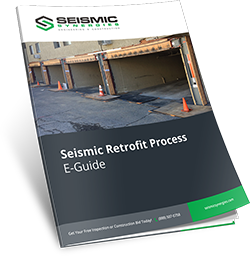 What is the Mandatory Seismic Retrofit Program? This program requires the retrofit of all multi-family, wood frame, residential buildings that contain a soft story condition. These buildings are susceptible to strong damage in an earthquake because of a weakness found in the buildings lower story. This program seeks to require the strengthening of those buildings in our city. What is a soft-story wood-frame building? A soft story building is one with soft, weak or open-front walls on one or more side of the first story. These buildings typically have tuck-under parking and storage with one story of apartment units above or they have a wall that has mostly door or window openings with a very low percentage of structural wall framing in between. What buildings are typically a part of this program? The ground floor or basement portion of the structure contains parking or other similar open floor space that causes soft, weak, or open-front wall lines, and there exists one or more stories above. The proposed program does not apply to wood-frame soft-story multifamily buildings that have already been strengthened. What is the definition of Open-Front Wall Line? It is an exterior wall line, without vertical elements of the lateral force-resisting system, which requires tributary seismic forces to be resisted by diaphragm rotation or excessive cantilever beyond parallel lines of shear walls. Diaphragms that cantilever more than 25 percent of the distance between the first two adjacent parallel lines of lateral force resisting elements from which the diaphragm cantilevers shall be considered excessive. Cantilevers shall not exceed more than six feet. Exterior exit balconies of 6 feet or less in width shall not be considered excessive cantilevers. What is the definition of Soft Wall Line? It is a wall line, the lateral stiffness of which is less than what is required by story drift limitations or deformation compatibility requirements of this Article. In lieu of the engineering analysis required by this Article to determine whether a wall line’s lateral stiffness is less than the aforementioned story drift limitations or deformation compatibility requirements, a soft wall line may be defined as a wall line in a story where the wall stiffness is less than seventy percent (70%) of the stiffness of the exterior wall above for the direction under consideration. What is the definition of Weak Wall Line? It is a wall line at the ground floor where the wall strength is less than 80 percent of the strength of the wall above in the direction under consideration. What is the definition of a Story? It is defined as the portion of a structure between the tops of two successive finished floor surfaces and, for the topmost story, from the top of the floor finish to the top of the roof structural element, but also includes any basement or underfloor space of a building exceeding four feet in height. Performing a seismic upgrade of a soft story building will reduce the risk of death or injury that may result from the effects of earthquakes. The draft program would create minimum standards intended to mitigate the risk of collapse and improve the performance of these buildings during earthquakes, reducing, but not necessarily preventing, the loss of life, injury and damage to property. How were potentially affected properties identified? Properties were identified through a field visual survey and permits records research performed to identify existing potentially vulnerable wood-frame soft-story buildings in multi-family residential zones of City of Beverly Hills. When would the ordinance go into effect? The ordinance is expected to go before the City Council early 2017. Once adopted by the Council, the ordinance takes effect in 30 days. How much time do I have to apply for the permit? How long will I have to complete the retrofit? Do I have to retrofit the entire building? The extent of the construction would depend on the overall structure and the engineer report required by the proposed program, but the proposed program would require that only the soft-story condition be corrected. Can I be excluded from the list of affected properties? The proposed program would require a registered civil or structural engineer in the State of California, or a qualified architect licensed by the State of California to submit the assessment report or the designed retrofit plans with accompanying calculations. Where can I find a licensed contractor? The City cannot recommend any contractor or engineer. The Blue Book of Building Construction is a regional phone directory that is independent from the City and is published by Contractors Register Inc. The web site is www.thebluebook.com. The Blue Book has a section on Seismic Construction. The Contractors State License Board of California maintains a database of all contractors in the state http://www.cslb.ca.gov. Additionally, if you decide to finance the retrofit costs through the available PACE program administrators such as AllianceNRG, you will be able to select a prequalified contractor from their list. Where can I find a Licensed Engineer? The Structural Engineers Association of California has a listing of licensed engineers. The web site is http://www.seaoc.org. Will I have to bring the entire building up to code? Compliance with the proposed program shall not require existing electrical, plumbing, mechanical or fire-safety systems to be altered to comply with existing code unless they constitute a hazard to life or property. The existing electrical, plumbing, mechanical or fire-safety systems shall comply with the current Building Code if the seismic retrofit interferes or alters any of these systems. What will happen if the work is not completed within the time limit? It would be unlawful for any person or business entity, to: (i) fail to comply with any of the time limits set forth in the proposed ordinance, including bringing the affected structure into full compliance with the minimum seismic standards specified in the ordinance; and/or (ii) maintain, use or occupy any such structure that has not been brought into full compliance within the time limits set forth in the proposed ordinance. How much will it cost to seismically strengthen my soft-story building? The cost will vary widely depending upon the level of the hazard and needed seismic upgrade work. Building owner may consult a licensed civil or structural engineer, or architect, who specializes in seismic strengthening of buildings to develop a retrofitting plan, and multiple bids may be obtained from licensed contractors. The cost for the retrofit of existing wood-frame soft-story buildings is estimated to be between $5,000 to $10,000 per unit. What is the cost of building permit application? Is it a fixed fee or a percentage of construction costs? I am an owner of a soft-story building, but cannot afford to retrofit my building. What are my options? There are some available financing assistance options through PACE (Property Assessed Clean Energy) Programs such as AllianceNRG or Ygrene for property owners wishing to finance the seismic retrofit cost. Use the following link for more information http://cscda.org/Open-PACE. As owner of a soft-story building, how can I recover the retrofit costs? For Chapter 6 tenants, the BHMC allows a greater maximum annual rent increase limit as compared to a Chapter 5 tenant. The maximum permissible rent increase is ten percent (10%), with only one (1) rent increase permissible within any twelve (12) month period according to the provisions of BHMC section 4-6-3. For Chapter 5 tenants, the Code allows a capital expenditure surcharge to be added to the apartment unit rent in accordance to the provisions found in BHMC section 4-5-305. The Beverly Hills Municipal Code (BHMC) rent stabilization provisions currently allows property owners to recover all or a portion of a permanent improvement made to the building.